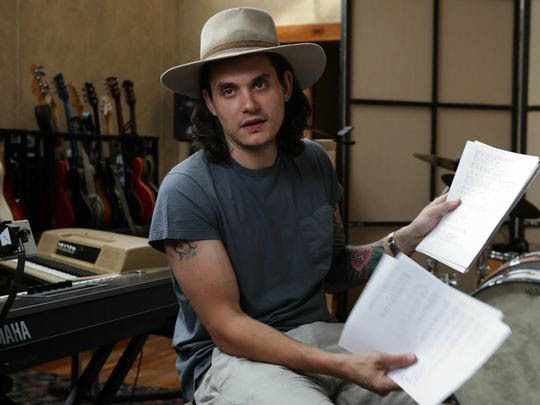 Popular singer-songwriter John Mayer (shown here in "California Typewriter") has just given typewriter shops a big shot in the arm. The post currently has 9,300 reactions and 1,266 comments on Facebook. On Instagram, it has 95,297 likes and 4,849 comments. 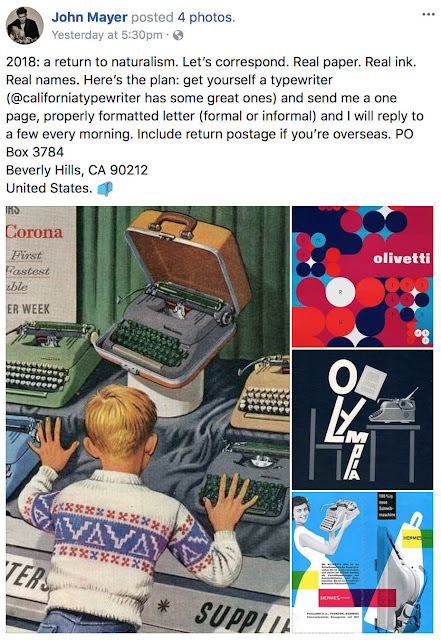 The typosphere salutes Mr. Mayer for fostering thoughtful communication and typewriter sales. We are one step closer to the revival of quality typewriter manufacturing! I'm certainly on board for new typers! Sounds like a brilliant idea.